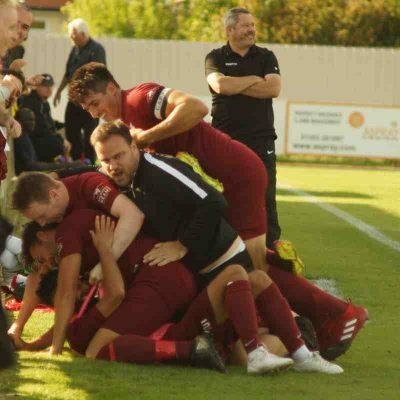 Canterbury City have been rewarded for beating Leicester Nirvana in the last sixteen of the Buildbase FA Vase with another home draw against Biggleswade F.C. Biggleswade are from the Spartan South Midland Football League and are currently second behind Hadley – a solitary point back but with three games in hand and indeed the two meeting on Saturday. But Smith was adamant which was the most important date for the club – February 5th’s planning meeting at the City Council, or February 24th and the Buildbase FA Vase sixth Round. There will be a second Kent side in the last eight as Kevin Watson and Cray Valley face the long trip to just off Junction 27 of the M5 not far from Exeter to face Willand Rovers who currently top the Western Football League having lost once in twenty four matches. This entry was posted	on Monday, February 4th, 2019 at 7:30 pm	and is filed under Featured, Football, Non-League Football. You can follow any responses to this entry through the RSS 2.0 feed. Both comments and pings are currently closed.